Rt Hon. Alistair Burt MP entered Parliament for the first time in 1983 for Bury North and since 2001 has been the Member of Parliament for North East Bedfordshire. Burt is currently a Minister of State for Health. Following a lengthy and varied front bench career in both Government and Opposition, he served as Parliamentary Under Secretary of State at the Foreign and Commonwealth Office from May 2010 to October 2013, with responsibility for counter-terrorism, counter-proliferation, counter-piracy, North America, the Maldives, Sri Lanka, the Middle East and North Africa. Mr Burt was appointed a member of Her Majesty’s Most Honourable Privy Council in November 2013. 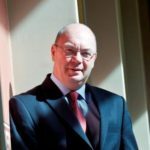 In June 2017 Alistair Burt was jointly appointed as Minister of State at the Department for International Development and Minister of State at Foreign and Commonwealth Office.